A new very large building is under construction just west of the Janet ramp. It measures approximately 255x184', and appears to be fairly tall. Nearby buildings include, counter-clockwise from the Janet ramp, the Janet Terminal, the New Base Headquarters, the PMEL Lab and the Main Security building. 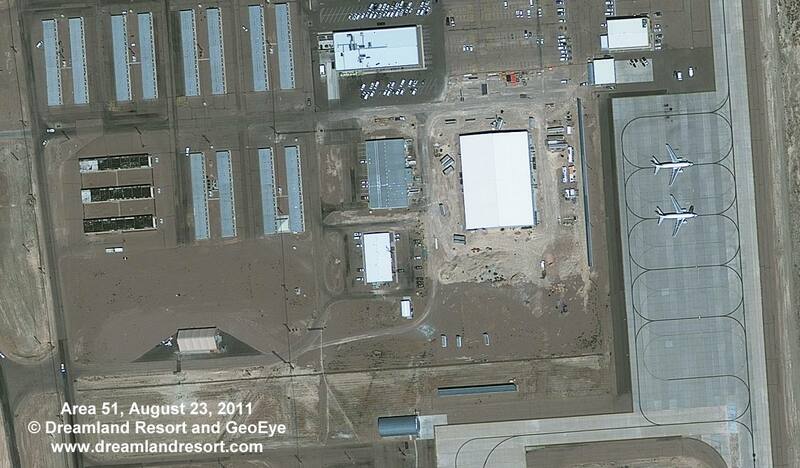 The building is large enough to be a new hangar, but based on the location near the new Base Headquarters it is more likely a new Dining Hall and/or administrative offices. The latest Google Earth imagery dated 6/28/2010 shows the previously vacant area being graded in preparation for the construction. Another, smaller building was added south of the dormitories, along the road leading to the security building and to the construction site above. It looks somewhat temporary and may be related to the construction.